My first song composition – usually I enjoy writing prose or poetry and do not fancy myself to be much of a singer or musician. I barely read sheet music. 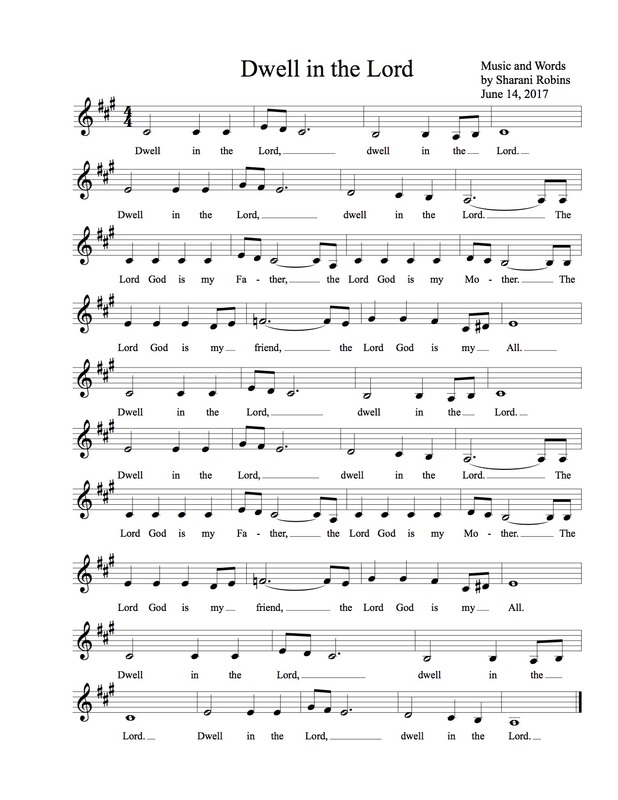 Yet while meditating and praying at home last week, this song came to me clear as a bell. My friend Archee, a piano teacher and serious musician, kindly transcribed it! Here it is – I sing it silently and out loud in almost a mantric fashion since it arrived in my life. I LOVE IT!